I have three different methods available to me right now to connect to the internet. None of them are perfect, in fact all are far from it. I thought as long as I had the opportunity, I would test all three to compare them. Frankly, I dislike all three of these bandwidth-capped methods of connecting. I get 22GB 15GB data on the "unlimited" Verizon modem, before they choke it down, and 22GB with the "unlimited" AT&T data connection (although AT&T very rarely throttles data in Humboldt County, and Verizon throttles your data to below 600k the second you pass 15GB, regardless if the network is congested or not! ), and Tsunami gives me 50 gb/month for $65 and then charges per GB for every GB over (last month, my Tsunami bill was $130 for the month!). But, that is what I have, I use all three, and don't really like any of them. I sure wish Suddenlink would provide service to where I live, I would gladly pay their $90 per month for a solid uncapped connection! 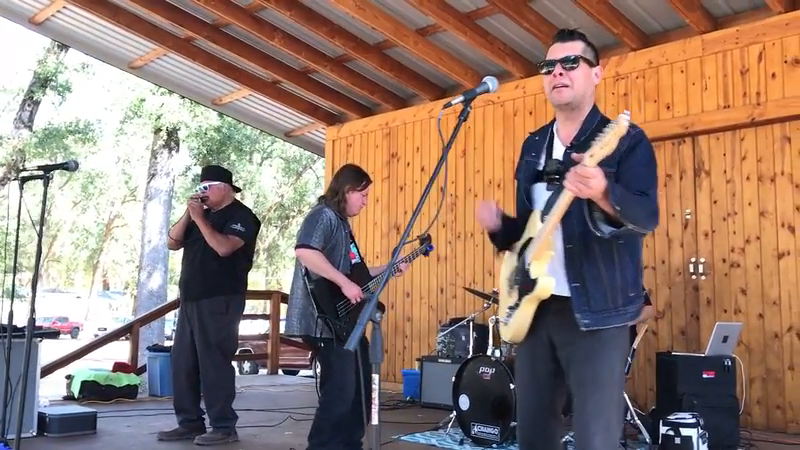 My family and I went to Round Valley (Covelo, CA) today to see Gary Farmer and the Troublemakers featuring Derek Miller play for the California Indian Day Celebration. We have been fans of Derek Miller for quite long time, and I love the blues that Gary writes and plays too. This is the first time I have seen either in person. It was a blast! My son has a blog! 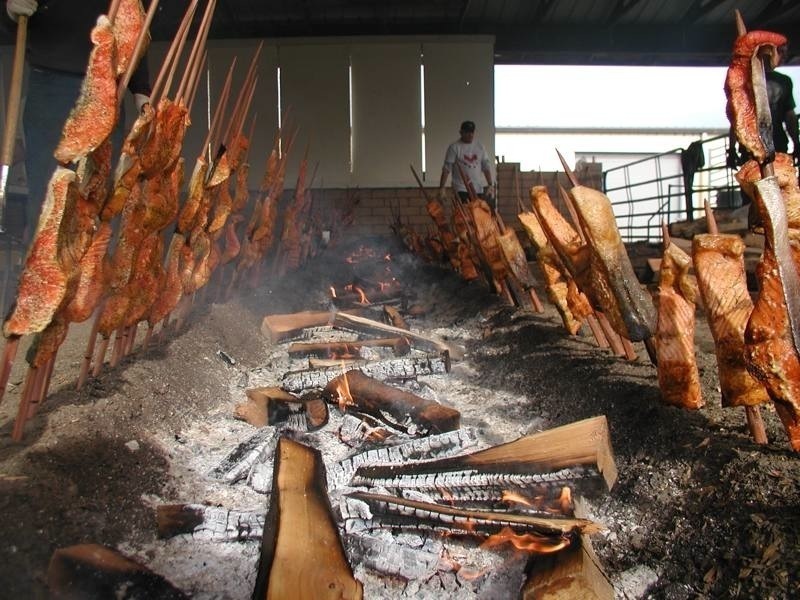 Traditionally cooked Salmon (in my wife’s culture, Karuk) would be roasted on redwood sticks over a very hot Alder fire. It is not possible to do this on given random weeknights at home when we want salmon for the family dinner. However, my wife has found an oven-roasted salmon recipe that creates some of the same wonderful flavors of salmon cooked on sticks over a fire, simply and quickly. This is a high-heat recipe, intended to imitate the properties of searing heat from the fire on the salmon fillets. The basics of the recipe come from “The Joy of Cooking” 1997 edition. You don’t want to overcook the fish, keep to the recommended cooking times, then inspect the fish for doneness. You want to remove it before the center is totally opaque, 125-132 degrees, depending on taste. The oven should be fully preheated to 500 degrees. Melt 2 tablespoons butter in a small sauce pan and add 2 tablespoons of olive oil and a half teaspoon of salt. Get a shallow roasting pan, spread half the melted butter/oil mixture over bottom of pan. Add salmon fillets, 1.5” thick (plus or minus), into pan, skin side up. Spread remaining butter/oil mixture over fish. Salt and pepper as desired. Roast for five to six minutes in fully preheated 500 degree oven, remove fish, close oven to keep it at heat, flip fish, return to oven, cook for another five to six minutes on other side. Check for doneness. Remove the salmon to a platter, pour pan juice over it. I am reposting this by request. This is one of my best meals, not only according to me, but as verified by family and friends that keep asking me to make it over and over again. The “secret” is that it is really easy to make. If I have all the ingredients I can prepare it from start to oven in less than 10 minutes. After that it is just cook, cool, and eat. Combine cottage cheese with eggs, milk, and seasonings in blender, beat on high till smooth and frothy. Pour a thin layer of egg mixture on bottom of pastry shell. Sprinkle jack or swiss cheese in bottom of pastry shell. Then scatter into the pie shell the onions and any filler items from list above, (or invent your own). Pour remainder of egg mixture over cheese, onions and filler items in pastry shell. Do not overfill. 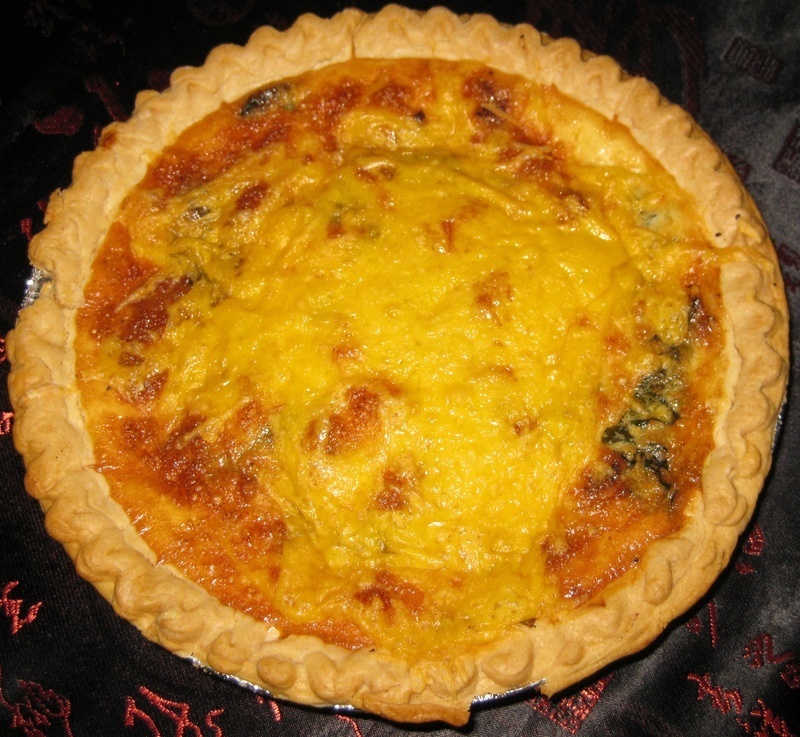 Sprinkle cheddar cheese over top of quiche after first 30 minutes in oven so it melts all over the top during last 15 minutes of cooking. Cook at 350 degrees for 45-50 min (or more) till silver knife inserted in center comes out clean. Allow to cool and set for 20 minutes or more before serving. (I guarantee whatever you don’t finish will be even better the next day! I usually just double the recipe and make two). A co-worker's daughter had her car stolen last night off of Albee street in Eureka, CA. 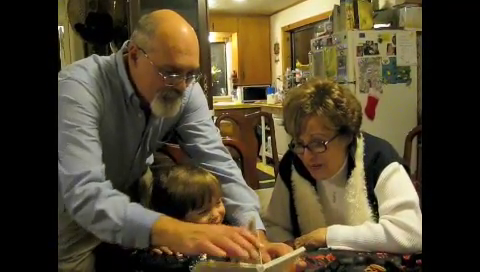 She is a single mom who works as a home health care worker to support herself. Not only did they take her only car (which she needs for her job), but her recent christmas shopping was still in the car so the thieves got all her family christmas presents too! The car is a "charcoal grey" 2006 Honda Civic Hybrid. (although the factory paint is called "charcoal grey" - it actually looks faintly "plum" colored in certain light). UPDATE: The car was recovered in Eureka, the plates had been switched but the car was not damaged. Ryan Burns of the Lost Coast Outpost posted an article yesterday afternoon that resonates with me. Anyway, all this hubbub got us thinking about a certain auto repair shop near Costco in Eureka. 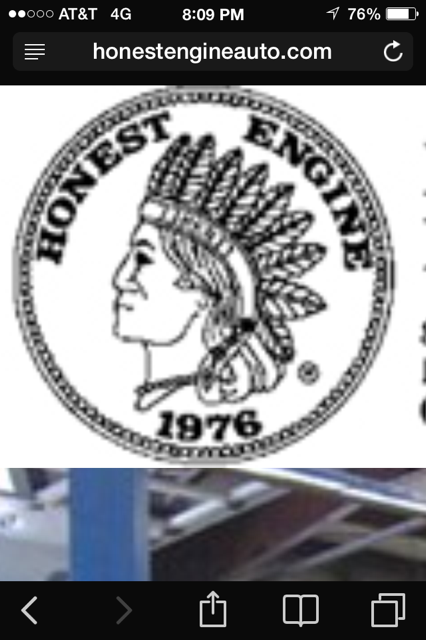 Honest Engine has been in business since our nation’s bicentennial, and lest you miss the pun, its logo features an “injun” in a feather headdress — an apparent riff on the old Indian Head penny. Is that racist? In our experience, opinions locally range from totally blasé (“Meh, I never even thought about it.”) to fairly incredulous (“How can they still have that name?!”). I encourage you to jump over to the Lost Coast Outpost and read Ryan's entire article. Ryan sent me a private message via Twitter asking me my opinion before he posted his piece. I replied, but unfortunately my reply was sent hours after he had posted his article. (hell hath no fury like an editor's deadlines scorned?). I decided to publicly post my response here. I truly appreciate Ryan's article, discourse on this issue is long overdue. The local business name, coupled with the logo is insulting to say the least. The entire concept of the pun behind that business name belongs in the history books chronicling the dark ages of this country, next to blackface and minstrel shows. (Do a google image search on "Negrobilia advertising"). Would any decent person approve of Negrobilia style advertising in this day and age? Why is it ok when it is an Indian? While I am not Indian, my wife and 8yr old son are Indian. I am tired of having to try and explain why society allows the inherent racism of the Washington R-word team name splashed all over national media to my son, and I am saddened by local businesses using cultural appropriation and racist implications in their pun-based name as a dark ages advertising gimmick. Ryan from the Lost Coast Outpost has done an update on the issue, including a letter from the owner of the business, with a welcome and respectful response. Sometimes things do get better! My good friend, David Isley, has provided me some of his recent studio session recordings, and I am honored to post them here for you to enjoy with his permission. I could wax on about David's musical talents, and the many instruments and styles of music he plays, but I think the music speaks for itself. Eleven days ago, I send an "Open Letter to Apple" regarding the "motion sickness" symptoms that I was experiencing due to my upgrade to iOS 7. I sent this letter to the known email address for Tim Cook, and to accessibility@apple.com. "Apple is aware that some users may need additional motion control options. We do appreciate your feedback and will forward this information on to the appropriate people for review." This is GREAT NEWS. Apple has acknowledged the problem, and indicated that they are reviewing what else they can do to assist people like me! This is truly great customer support and wonderful news! Even though I still am getting a little nauseous when I use my phone, it helps me in dealing with it to know that some team at Apple is considering what to do to make it better! Thank you for writing to Apple. At this time we want to ensure that you are aware of the current options to help reduce motion in iOS 7. If you have an iPhone 5, iPhone 5s or iPhone 5c, you can Reduce Motion, which turns off Parallax and limits the animations of other apps and icon badges, by going to Settings > General > Accessibility > Reduce Motion. Additionally, you can Increase Contrast and enable Bold Text - some users have informed us that that has helped them reduce the perception of motion they encounter in iOS 7. Apple is aware that some users may need additional motion control options. We do appreciate your feedback and will forward this information on to the appropriate people for review. At this time, we cannot comment on when a possible solution will be made available. These settings provide less animations (with Reduce Motion on, most animations change to "fades") and larger type that does not seem to "vibrate"